Intended to measure the vacuum level inside tin cans and other types of metallic vaccum-sealed packagings. 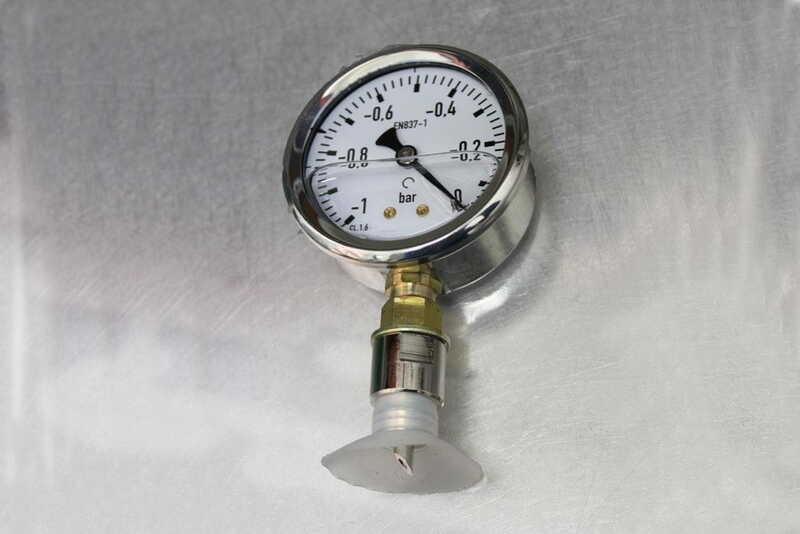 The vacuum gauge is assembled to a hard-shaped steel awl which easely perforates the cans. The sucking disc at the end of the compound retains the vacuum within the seasuring system after the perforation.